My views are a bit eclectic. 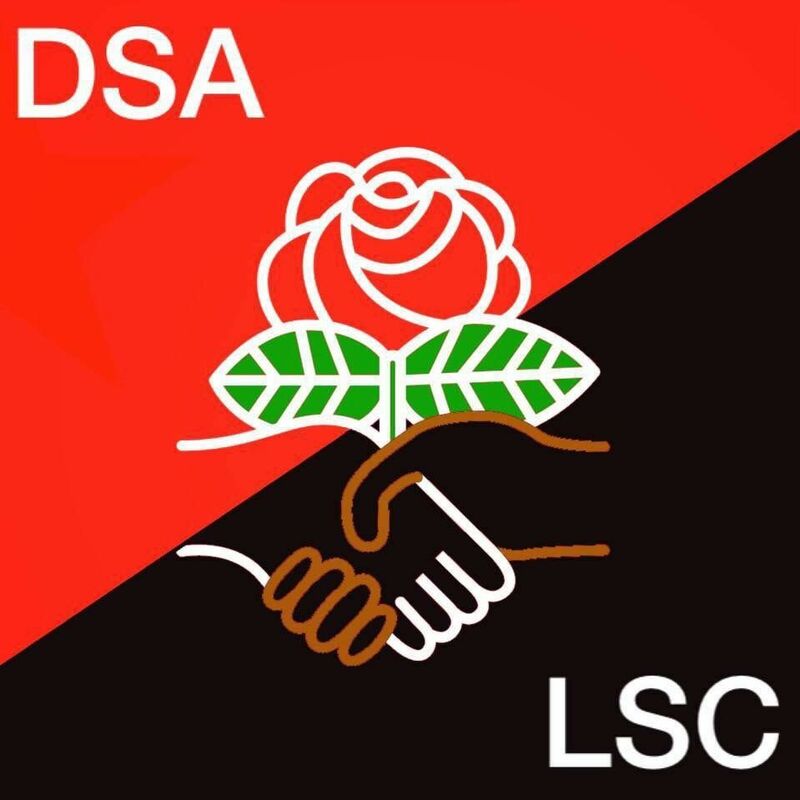 I draw inspiration from libertarian socialism, municipal socialism, ordoliberalism, social democracy, and market socialism. I think rules and social order matter. I think we need rules that create uniformity in order to allow for rational economic planning by individuals and businesspeople. The institutions and rules of society ought to create a self-regulating framework or “invisible hand” that makes it unnecessary to actively intervene in the marketplace most of the time. Furthermore, people should be provided with a basic safety net that guarantees their wellbeing. Social welfare is a necessity. This is the ordoliberal and social democratic aspect of my thought. I also believe that “too-big-to-fail” banks and industries should be nationalized and made into public industries. And the profits of nationalized industry ought to belong to the nation as a whole, so each citizen ought to have an equal share of the ownership and receive an equal dividend. This is the market socialist aspect of my thought. I am not a mutualist or individualist anarchist. The socialization of nationwide industries and corporations can only be done at the level of the national government. This precludes anarchism from being able to achieve the desired goal. I also believe that utilities, internet, waterworks, and sewage management ought to be municipalized. These services ought to be provided by the municipality rather than provided by for-profit companies in the private sector, since these services have to be provided on a monopolistic basis. This is the municipal socialist aspect of my thinking. At the same time, I believe that politics ought to be more thoroughly democratic and participatory. Assembly democracy, delegative democracy, deliberative democracy, and direct democracy all shape my thought. And I think military and policing should be reformed along libertarian lines. This is the libertarian socialist aspect of my thinking. We ought to embrace a blockchain-based crypto-currency system. The currency system ought to be self-regulating, so that the system automatically adjusts supply when there is a shift in demand. The goal is for the system to keep the price level relatively stable. Additionally, a property registry to record ownership of land, automobiles, and such shall be created on the blockchain. This will allow for the automatic collection of land value tax and progressive income taxes, as well as allow for smart contracts, which would greatly reduce the cost and bureaucracy association with taxation and adjudication. For more on this topic, see my posts Thoughts on Crypto-Currency Stability and Sustainability and Property Records & Land Registry on the Blockchain. We ought to embrace more social democratic policies. We ought to support strong regulatory agencies to ensure the welfare of our society. I have organizations like the EPA and OSHA in mind. We ought to create a universal basic income funded via a land value tax or ground-rent, create universal single-payer healthcare, provide higher education free of charge to the students, etc. We should create a program to reward workers who can successfully automate their own job or invent machines to replace them in the workplace. The goal should be to automate as much as we possibly can in order to make the economy more efficient. As more jobs become automated, we can simultaneously reduce the number of hours in the workweek and increase the minimum wage proportionally to that reduction in order to maintain full employment. If any company ever requires a bailout, the industry ought to be nationalized and the bailout ought to be regarded as a purchase. Any corporation that is “too big to fail” should also be nationalized. Industries should also be nationalized if they ever become mostly automated. The government can seize industry through eminent domain and compensate the investors/owners for their investment. Rather than centrally-planned industry, the nationalized industries should be converted into worker-managed co-operatives in order to create industrial democracy. The transition to industrial democracy ought to be gradual and the form of industrial management ought to be representative or delegative democracy. However, nationalized companies should be corporations wherein the citizens of society in general are the shareholders, so that the profits from such industry shall fund a national dividend or social dividend, while the workers receive fair market wages and democratically elect people to management positions. The State ought to mandate that municipalities take over ownership of utilities, waterworks, and waste management systems whenever these services are provided on a monopolistic or oligopolistic basis. The revenue generated from such industries may even be able to cover most or all of the costs of the municipal government. Any grocery stores that have monopolies shall be either municipalized, or nationalized if they are a national chain with many local monopolies. We should push for democratic reform. First, we should implement ranked-choice voting or instant runoff voting. We should also explore the possibilities of assembly democracy, deliberative democracy, delegative democracy, and digital democracy, and implement the most liberatory democratic reforms possible at every level of government. The goal ought to be to make government accountable and as participatory as possible. Democracy, however, ought to be strictly limited within the bounds of a constitution that guarantees certain basic rights to all people. Systems of welfare and taxation should be enshrined in the constitution and quite difficult to alter through the democratic process. The military shall be reformed along democratic lines. All able-bodied citizens shall serve in the military for a term of 4 to 6 years. Military leadership shall be democratically elected by the service-members themselves. Policing should be abolished/reformed. Modern policing originated in runaway slave patrols and crowd control to snuff out striking workers and protesters. Police forces ought to be reformed and replaced by two separate institutions: securance agencies (security+insurance) and law-enforcement agencies. The law-enforcement agencies will deal with enforcing positive law, or the rules of the community. They will issue warnings and fines for people who drive over the speed limit, drive recklessly, or break other such community rules. The securance agencies, on the other hand, will deal with protection of persons and property and insure people against both theft and aggression. If your property is stolen, the securance agency will pay out on a claim to recompense you for the damages caused by theft. They will then investigate the crime and try to track down and prosecute the perpetrator in order to get compensation for the damages. Criminals shall be subject to trial by jury in criminal courts and law-breakers shall be subject to civil courts in the form of democratically-elected judges or arbiters or tribunals. For more information on this, please see my posts Let’s Divide Law-Enforcement: Natural Law vs. Positive Law and Sensible Gun Regulations and Disarming the Police. Commenting on this Story will be automatically closed on September 26, 2017.